Room Makeovers that Smile Back at You! Is your home over-crowded? Does it lack places to put things? Are there cluttered rooms? 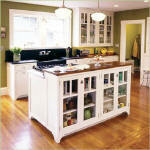 Have our Makeover Team give your rooms a whole new look and functionality! You name it, we’ll redesign and make it over better! 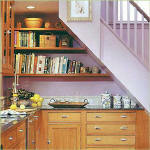 For any space in your home, whether it already exists or not, the HandyGirl Makeover Team can create it. We draw up rough space plans, decorating plans, storage solutions, and customized furniture ideas with an estimated budget. 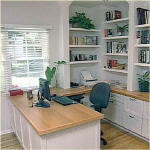 We de-clutter any cluttered spaces using a “clean sweep clutter removal” method. Note: We will also hold a garage sale and/or remove (or haul) items to a charity (or dump). We prepare a final, detailed floor plan with final budget for approval. We paint and lay down flooring (as desired). 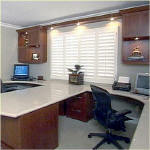 We construct any customized furniture pieces or walls or room enhancers (as desired). We shop for new furniture pieces (within budget). We install any lighting (as laid out in the approved plans). 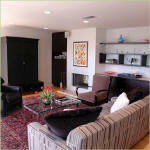 We finish off the room with the new furniture and final touches (accessorize with art, etc.). You may have seen the redesigning process on TV shows — now you can get it done for YOU! TV personality Cyndi Seidler has selected a very specialized team to work with her to bring you the home of your desires! Call now to arrange for an in-person Makeover Consultation! 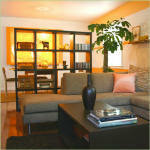 Call 818-686-8888 now and get a home makeover as seen on TV!